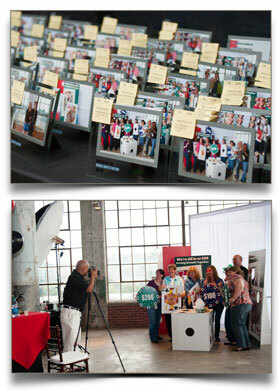 We Are Passionate About Event Photography! When we cover events for businesses, churches, community organizations, social groups, or families we do our best to blend in and capture people in their natural state as the event unfolds. Yes, we will take the group and table shots too, but what really moves us are strong candid photos that tell the “Story of your Event”. After viewing our photos many people comment that they feel like they are still at the event. And with exceptionally fast turnaround times your company, department, team, group, club, or family can relive your event through our photos within days rather than weeks or months. We Are Passionate About On-Site Print Photography! When we show up to an event we bring lights, backdrops, state of the art photographic gear, and top notch professional staff. In fact, most of our clients are surprised that we setup a full studio on the premises of the event venue as if we were shooting a private client. We do this to provide the absolute best on-site print photography experience because we know that that the photos we print will last and be displayed for many years. Speaking of printing…It's an integral part of our service. Therefore, you won't find us showing up with an off-the-shelf ink jet printer. Our photo teams only use professional lab quality photo printers, which give us the ability to print 100-year, dry-to-the-touch photos at a speed greater than 500 prints per hour. Our equipment, process, and techniques are designed to provide small and very large groups with prints within seconds of their photograph being taken. We Love Photographing People Under GOOD Light. No blurry or discolored photos here! We are experienced photographers and we take pride in our work. 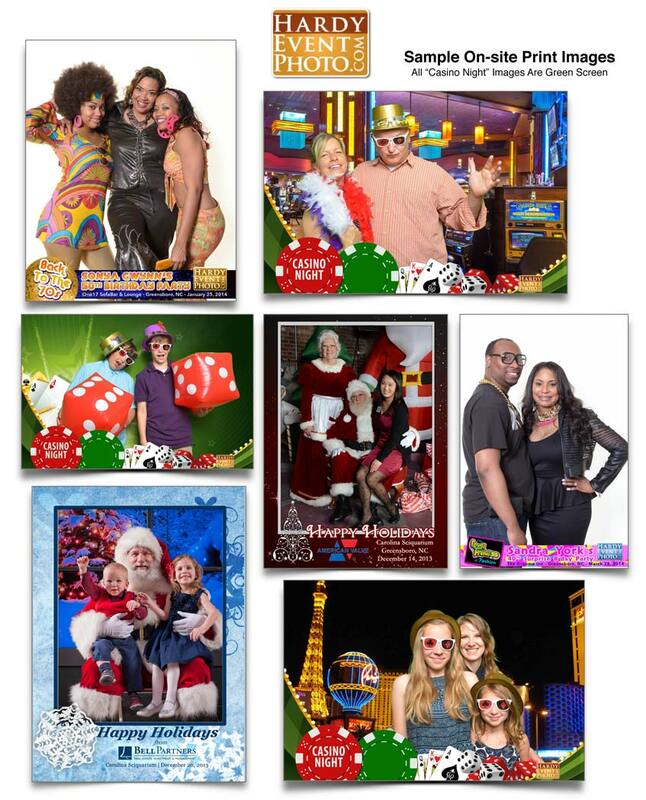 Because we photograph people and print on-site, sometimes we are confused with the fly-by-night photo booth operators but rest assured Hardy Event Photo is definitely not fly-by-night. Nearly ten years experience has taught us how to work with all types of people and how to best photograph them. When we show up, their will be a real photographer apart of the team who is experienced in eliciting the best expressions from your guests that will last a lifetime. Don't subject your guests to a generic cold computer screen with poor photos from a machine the DJ setup. Instead, hire real photographer. You will see the difference. Contact Us Today!